Latino writers are seeing their words on the big screen as two Hispanic-oriented film festivals open this month. • Seven culturally diverse movies will be featured in the Maya Indie Film series. 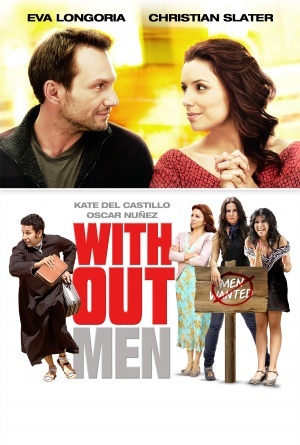 The movies include Without Men, about an all-female society, staring Eva Longoria and Oscar Nunez (from The Office). The movie was written and directed by Argentenian Gabriela Tagliavini and based upon the book Tales from the Towns of Widows by Colombian James Canon. The festival will run from Friday, Sept. 9 to Thursday, Sept. 15 in Chicago; Sept. 16-22 in Dallas and Miami and Sept. 23 in San Francisco. • The Cinesol Film Festival will present a variety of Latino-oriented movies, as well as panels and seminars, from Saturday, Sept. 10 to Sept. 23 in Edinburg and Harlingen, Texas. 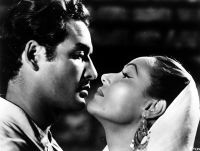 Machete co-screenwriter Alvaro Rodriguez and film scholar Rogelio Agrasanchez Jr. will discuss “The Golden Age in Mexican Film” Sept. 17. Agrasanchez will also speak Sunday, Sept. 11, at the Museum of South Texas History in Edinburg for the kickoff of the yearlong exhibit, “La Epoca de Oro: The Golden Age of Mexican Cinema in the Rio Grande Valley,” which features trailers, posters and other memorabilia.